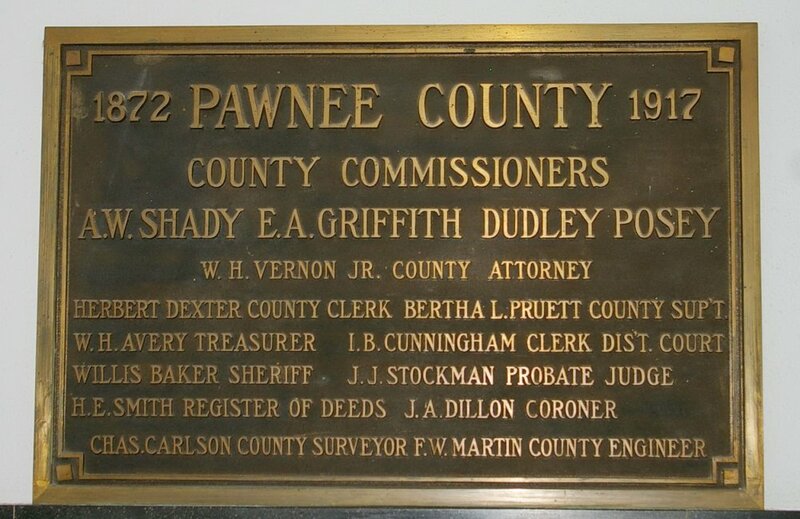 Pawnee County is named for the Pawnee Native American tribe who resided in the region. 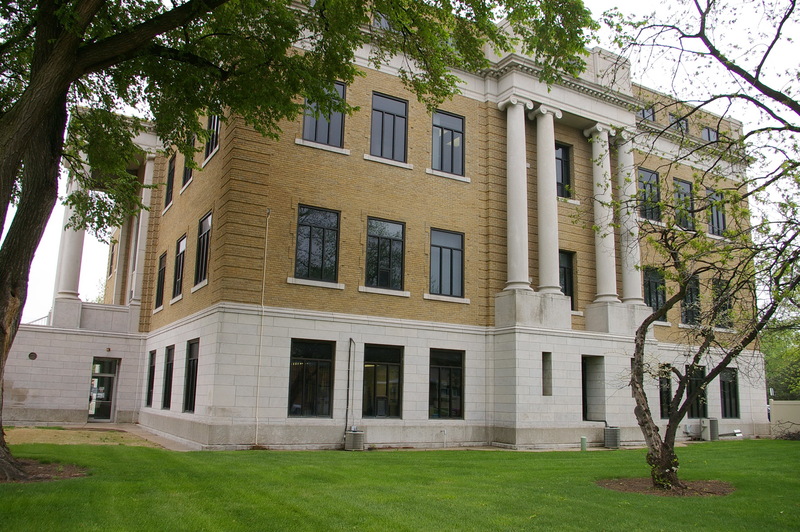 Description: The building faces east and is is a four story buff colored brick, stone and concrete structure. The building is located on landscaped grounds and has a high central portico supported by four high columns with pediment at the roof line of the third story. 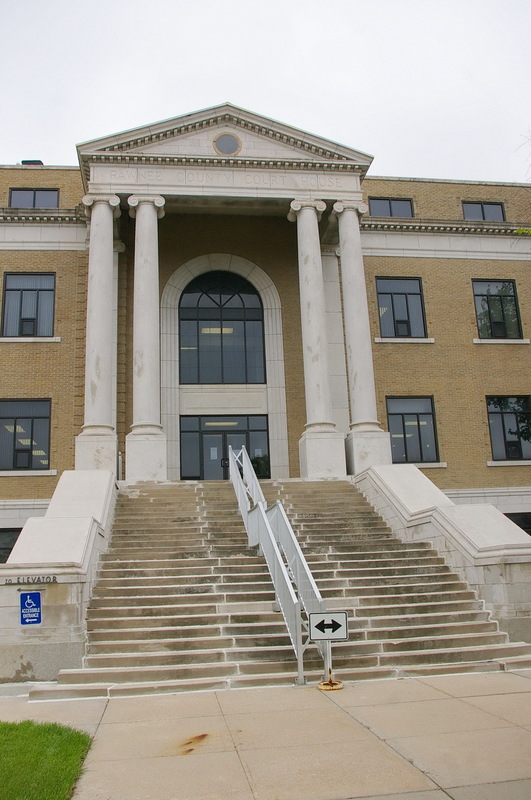 The fourth story is recessed. 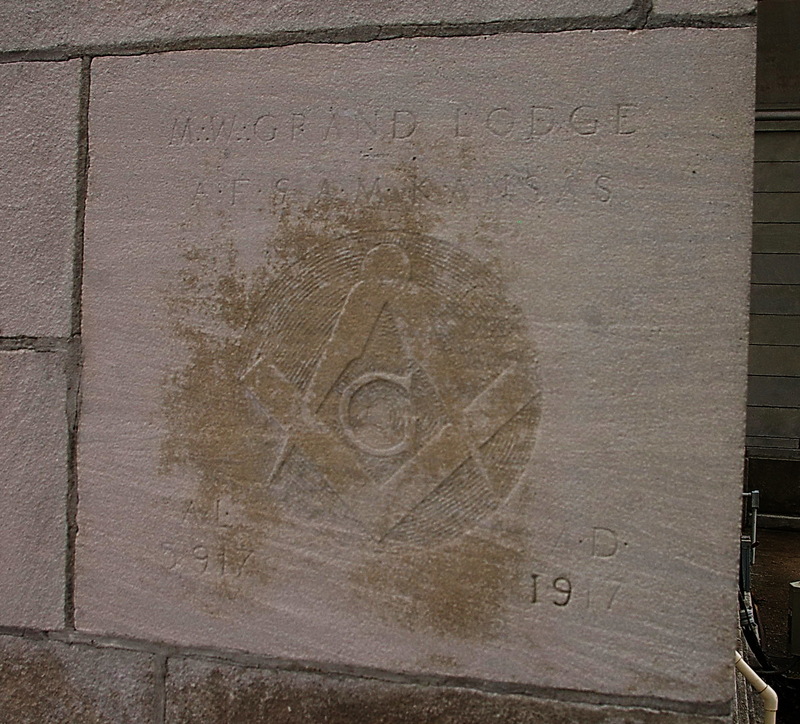 The foundation is white colored stone. The roof line is flat. 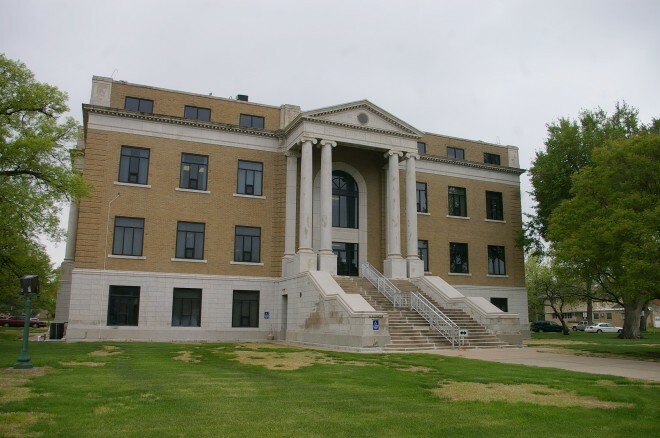 Note: The architect, William Earl Hulse & Company of Hutchison, designed courthouses in Barton County, Brown County, Kiowa County, Osage County, Reno County, Wallace County and Wichita County. 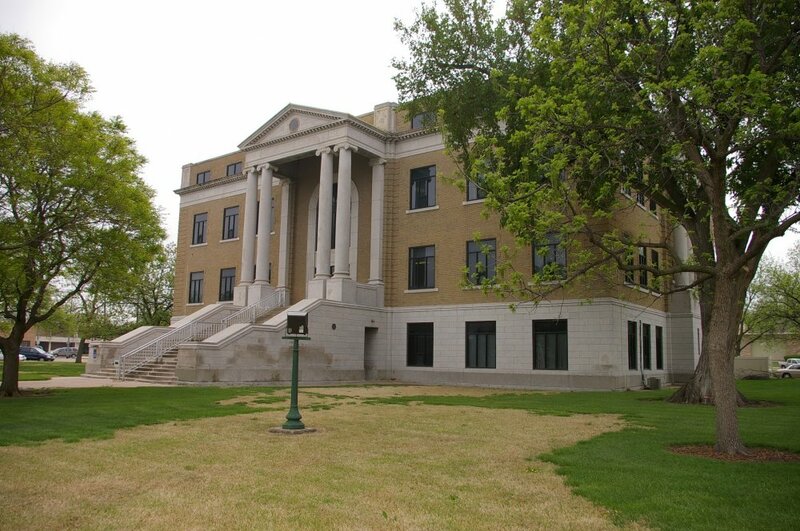 Note: The same architect and contractor constructed courthouses in Wallace County and Wichita County. 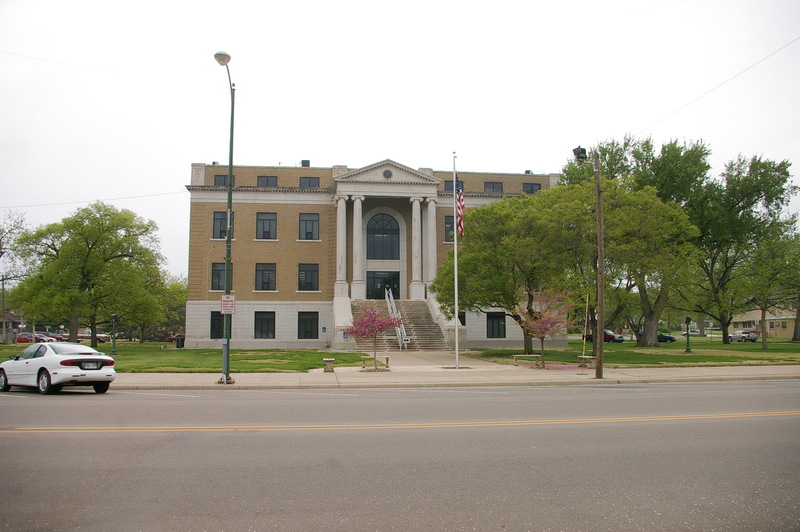 Note: The previous courthouse was built in 1884.